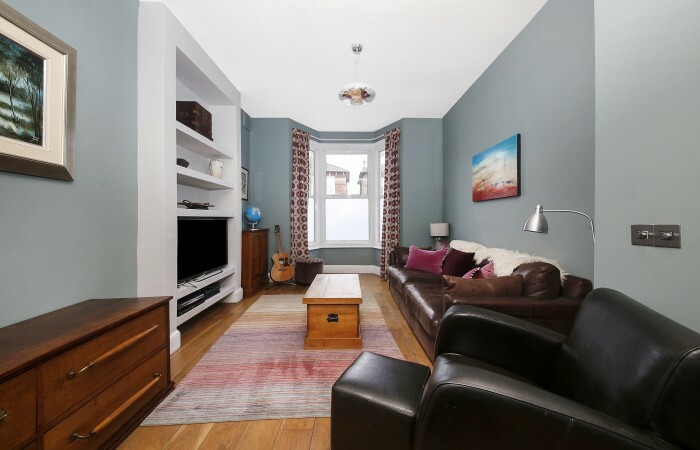 A superbly located, extended four double bedroom house in the heart of East Dulwich. This impressive, period, four bedroom house, which is being sold chain free, is to be found in the heart of East Dulwich on Melbourne Grove close to its intersection with East Dulwich Grove. 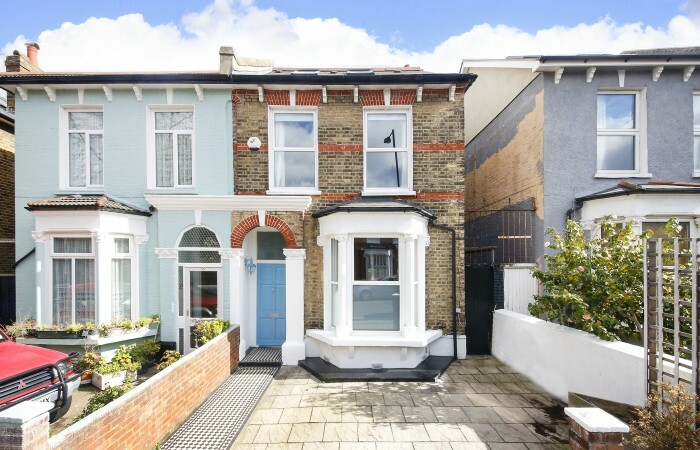 This lovely house ticks a lot of boxes. 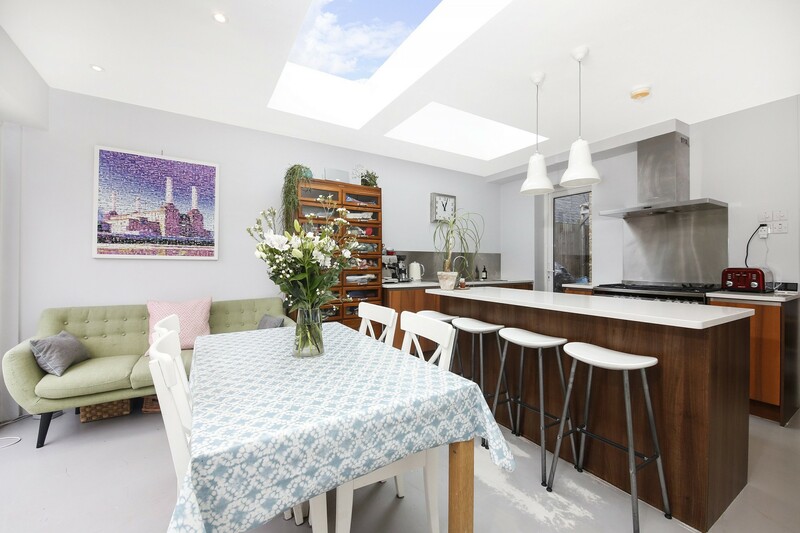 It has been thoughtfully extended by the current owners through both a side return and loft extension and provides four double bedrooms and three bathrooms. 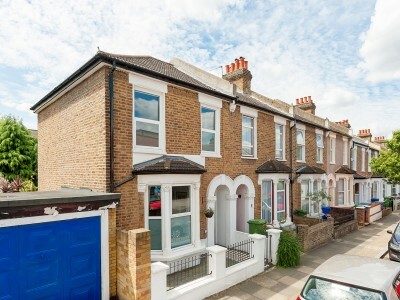 In addition it provides off street parking (a real boon so close to the station) to the front and has a lovely garden to the rear. In the rear garden the existing owners have installed a large garden room, which currently accommodates both a home office and a sauna. 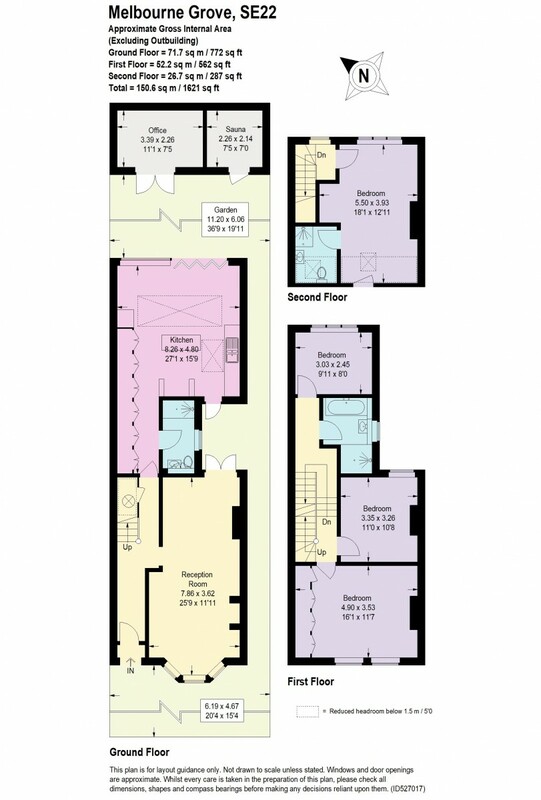 However, this extremely useful space could be put to any number of potential alternative uses by any new owners. The house is nicely finished throughout and is ready to be moved into. 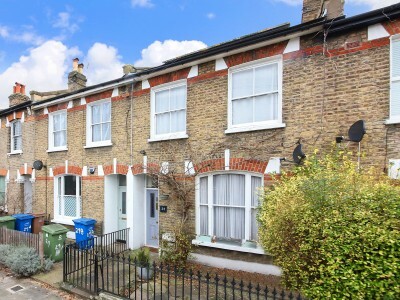 The property is situated moments away from Lordship Lane. 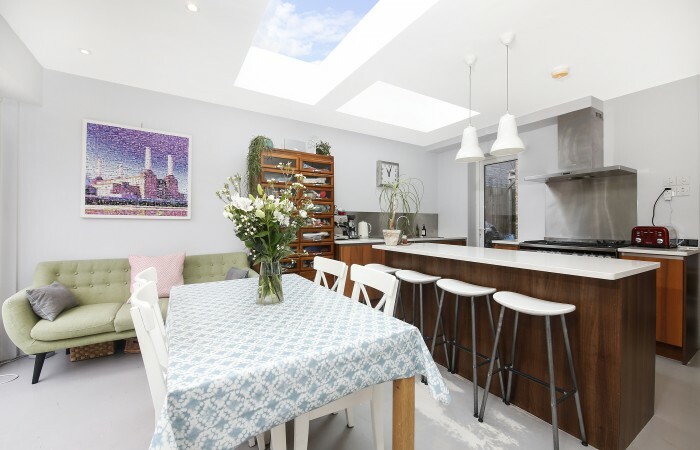 So, on your doorstep, you have access to the many bars and eateries on what is one of southeast London’s premier and most sought after high streets. Whether you plan to eat out, or pick up some supplies for dinner in, everything you could wish for is within easy reach. In addition to the bars and restaurants, Lordship Lane also offers a growing number of independent shops and, on a Saturday, the foodie delights of the North Cross Road market are also just around the corner. Both Goose Green and the recently opened Harris Academy primary schools are a short walk from the house as is the soon to be opened Charter School on East Dulwich Grove. 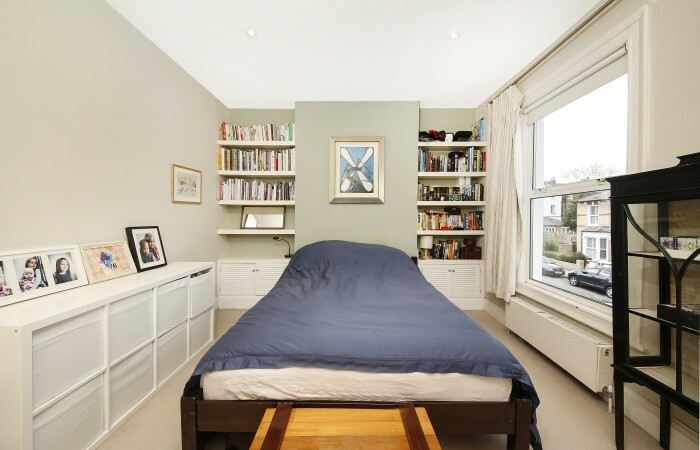 The independent schools for which Dulwich is famous are also within easy striking distance. 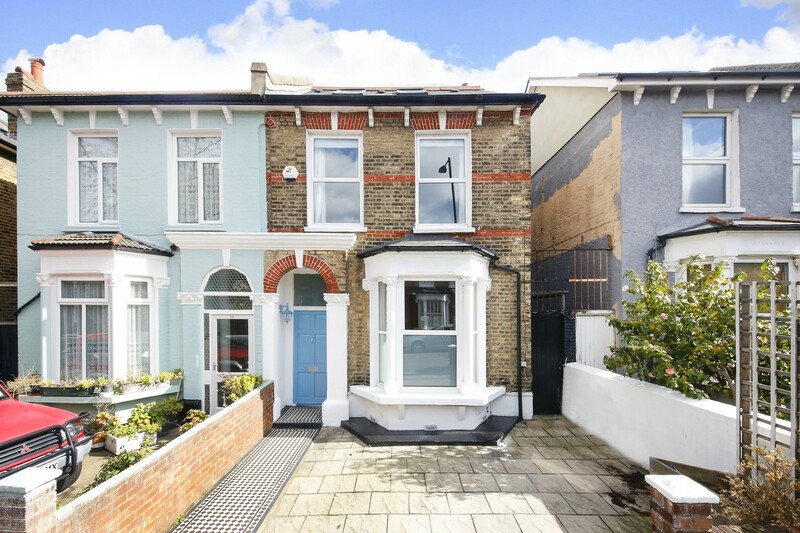 So, whatever your education needs, this house fits the bill. 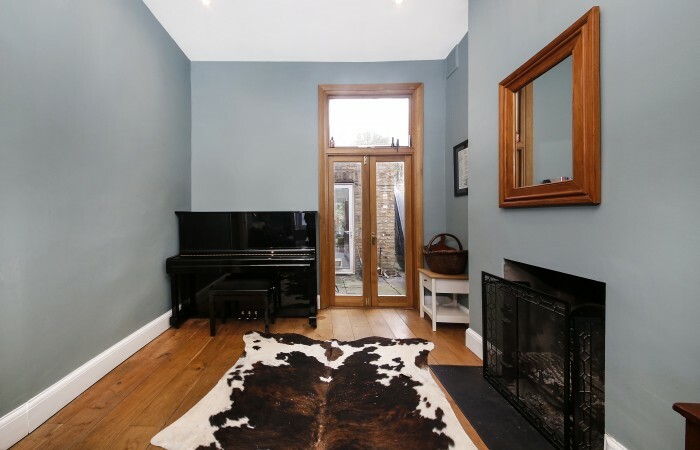 You approach the property through the front garden, along a path tiled with black and white period style tiling, and enter into the hallway of the property with its wooden flooring, which extends into the reception rooms. The double reception room is immediately to your right from the hallway. This is a beautiful, high ceilinged, room. There is a large bay window to the front reception, which looks out onto Melbourne Grove. This part of the room also has built-in shelving and A/V storage to the chimneybreast. The rear reception has an open working fireplace and fully glazed double doors leading out into the garden. The whole of the ground floor level of the house has underfloor heating. 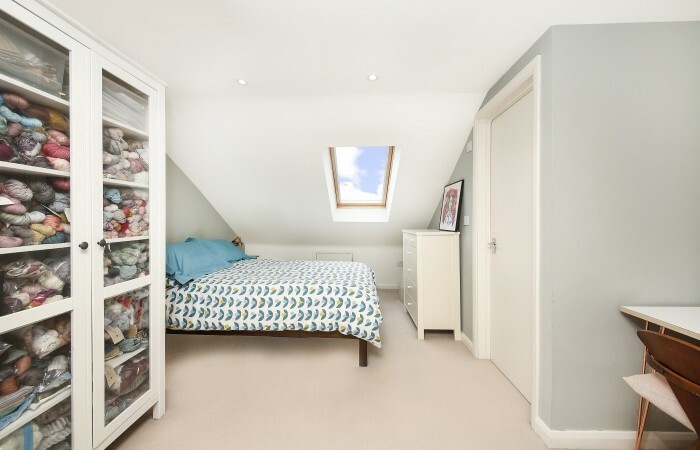 Returning to the hallway and proceeding to the rear of the property, you pass an understair storage cupboard on your left before entering the spacious kitchen diner. 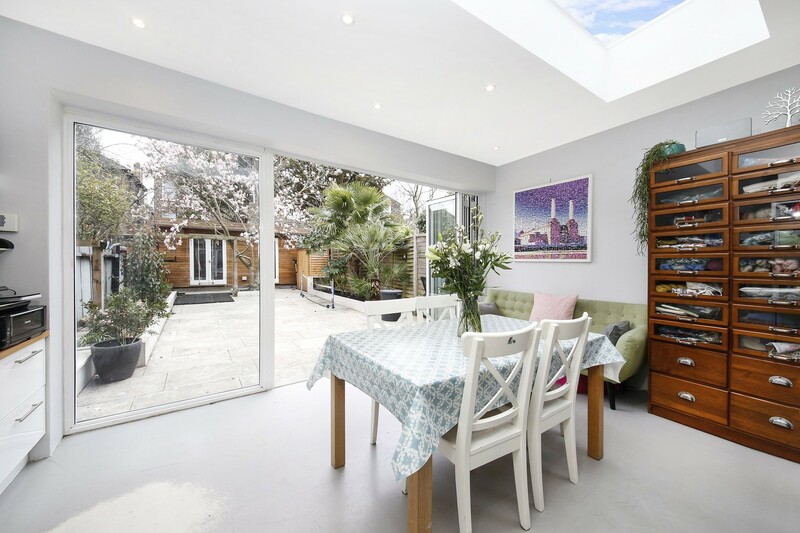 This is a bright room with large ceiling windows as well as fully glazed doors. Immediately on your right upon entering the kitchen diner is the downstairs cloakroom, which also has a shower enclosure with rainfall showerhead. 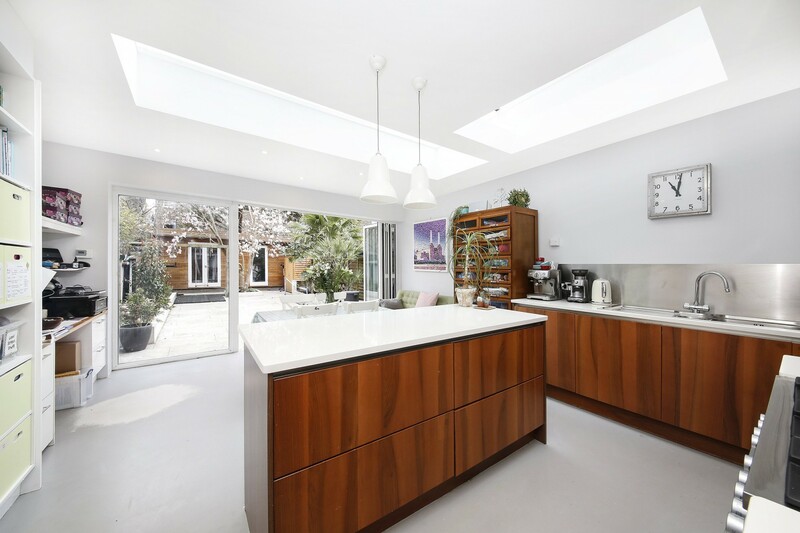 The kitchen area is fitted with an extensive range of storage units in contrasting high gloss white and wood. There is a five burner range cooker and integrated fridge, freezer, dishwasher and washing machine. The kitchen area also has a large island unit, which provides both storage and a breakfast bar. Leading on from the kitchen area is the dining area, which is spacious enough to accommodate a large family dining table and chairs. The current owners have also incorporated both seating and a home office area into this space. From the dining area an entire wall of floor-to-ceiling windows, incorporating bifold doors, looks out onto the very pretty rear garden. Returning to the hallway the staircase, with open balustrade, leads to the upper floors. 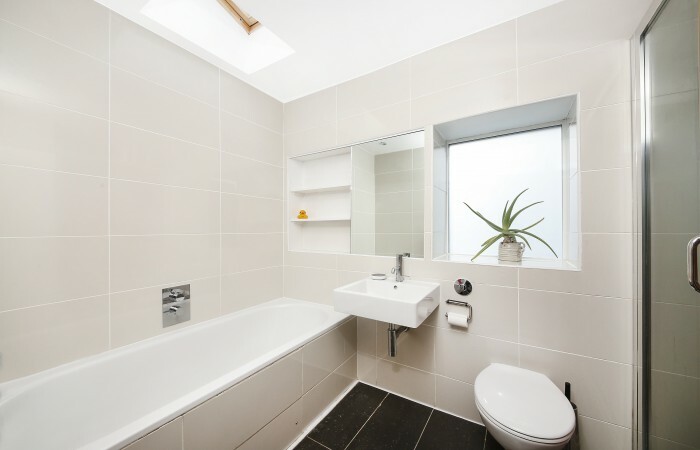 On the first half landing you will find the family bathroom and the first of the bedrooms. The family bathroom is immediately to your right and is fitted with a white three-piece suite comprising bath, hand basin and WC. There is also a walk-in shower enclosure. This slickly finished room has large contemporary ceramic tiling to the floor and walls and there is also underfloor heating. From the bathroom a window looks out onto the side of the property. At the rear of the property on this half landing is the first bedroom. This is a pretty double room with a casement windows looking out on to the rear garden. From the first half landing a flight of four stairs leads up to the main first floor level where you will find two further bedrooms. 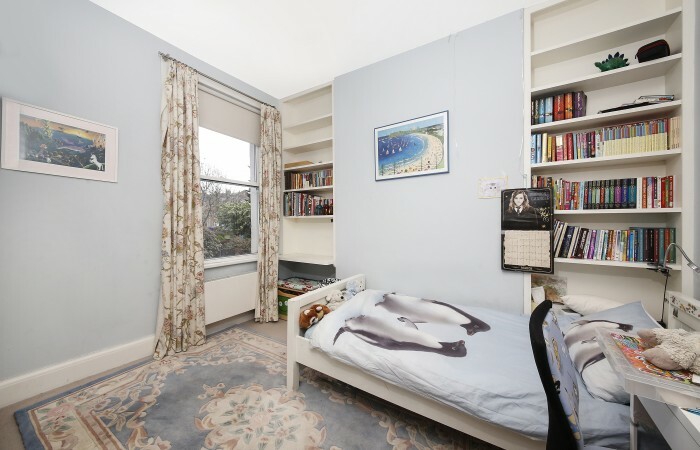 On your left is the second of the double bedrooms. This pretty room has built in shelving to the chimneybreast recesses and a sash window looking out towards the rear of the property. At the front of the property at this level is the original master bedroom. 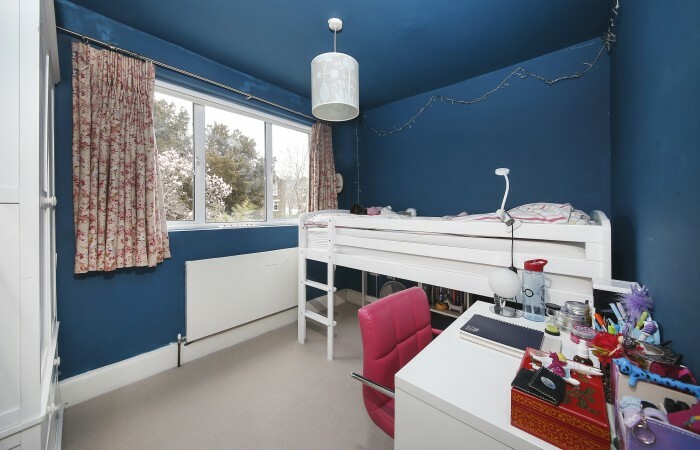 This is a bright and spacious double room, which benefits from an entire wall of built-in storage as well as built-in shelving and cupboards to both chimneybreast recesses. Two large windows look down from this room onto Melbourne Grove. From first floor level a further staircase leads up to the loft extension. 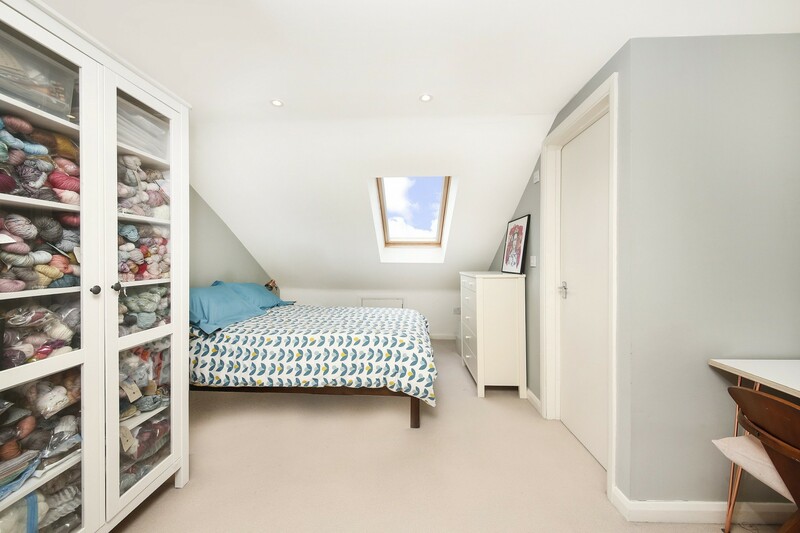 The loft extension comprises an extremely large double bedroom with an ensuite shower room. The bedroom, which is large enough to accommodate both a bed and separate sitting or study area, has a Velux roof window to the front and casement windows to the rear looking down onto the garden. The ensuite shower room is fitted with a white three-piece suite comprising WC, hand basin and walk-in shower enclosure and has a heated towel rail. 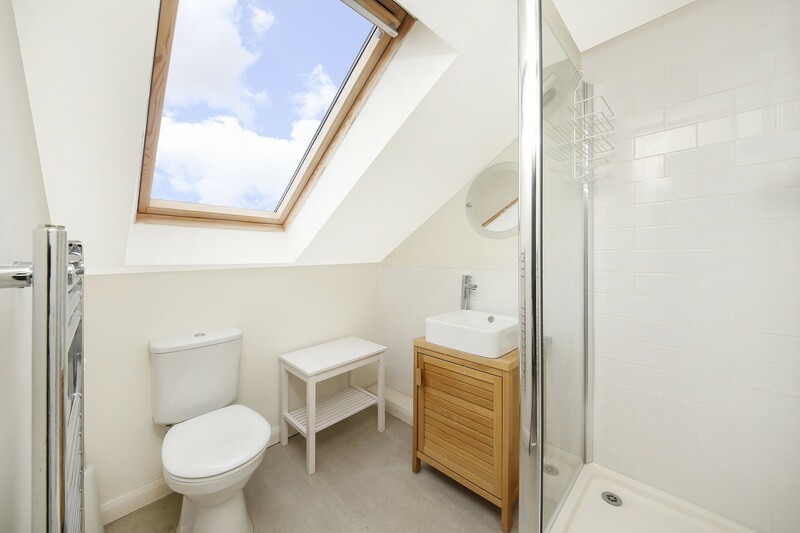 There is a large Velux roof window looking out from the shower room towards the front of the property. 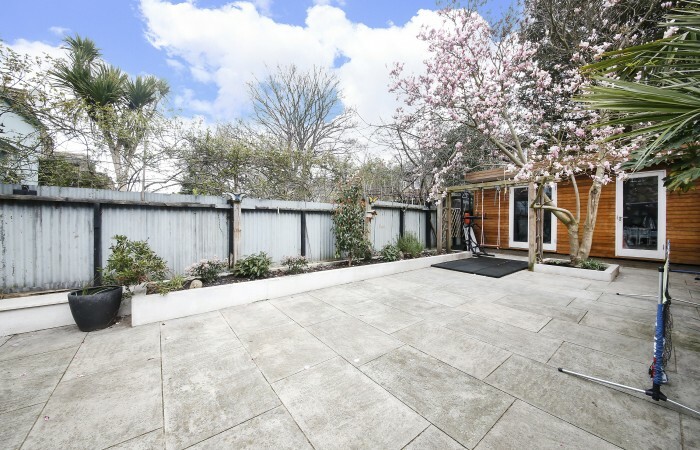 Externally the property has a paved front garden, which provides off-street parking for one car. Additionally, at the rear, the house has a very pretty garden. This is mostly paved with large beds to either side planted with a range of mature shrubs. At the centre of the garden is a bed in which is planted a beautiful mature magnolia tree. A particular advantage of this house is the large wooden outbuilding, which the current owners have installed at the end of the garden. As currently configured this is divided into two rooms. The first contains a home sauna cabin and the second is a home office. The building is fully wired for electricity and also has a phone line installed. 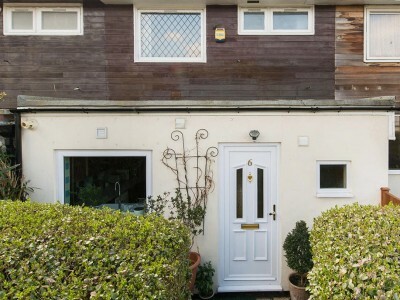 This is a lovely property excellently situated in an increasingly sought after area. 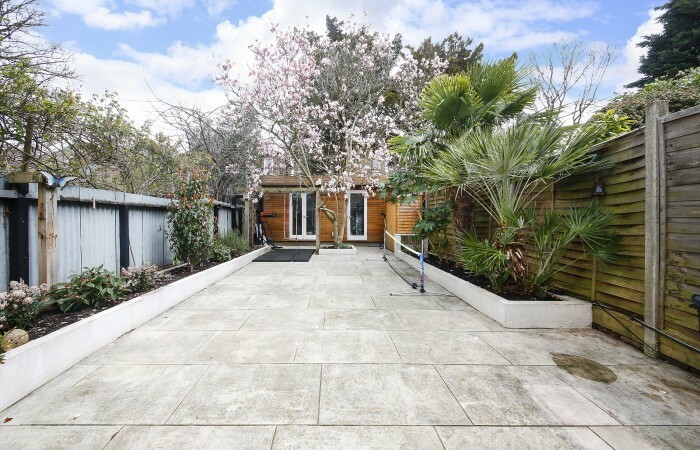 It has been thoughtfully extended, is nicely finished and comes with the added benefit of adaptable additional space in the garden room(s). The property is being sold chain free and your early viewing is recommended.